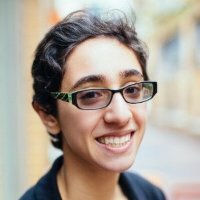 Shoham joined Civic Consulting an an Analyst in 2017. While at the firm, she has worked primarily on projects within the Economic Vitality and Criminal Justice platforms. Before starting at Civic Consulting, Shoham interned with the Department of Homeland Security's appropriations team, U.S. Senator Gary Peter and A2Ethics, a local organization which encourages the application of ethics to policy and community practices. Shoham graduated with distinction from the University of Michigan with a BA in Political Science and minor in Business. During her time at U of M, she also served as the editor in chief of the student newspaper, The Michigan Daily, and as a project manager for a campus consulting organization. In her free time, Shoham enjoys running, writing and exploring Chicago.